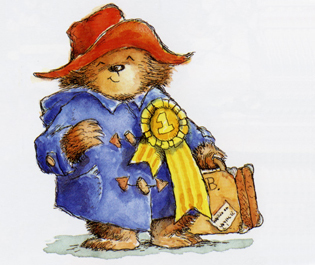 Paddington bear is known the world over as the short fat bear that wears a duffel cat, big hat and loves marmalade. 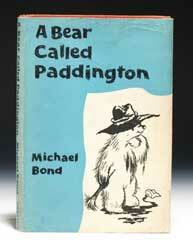 Created in 1958 by Michael Bond a BBC cameraman, who based the stories on a bear he bought for his wife one Christmas. Michael himself admits that the success of the stories has far exceeded anything he had ever hoped for and in fact led to him becoming a full time writer. The story goes that Michael Bond whilst out shopping for a present for his wife in 1956 came across a lone bear that had been left on the shelf of a London Store. Taking pity on it, he took it home for his wife who named him Paddington after the nearby London train station. 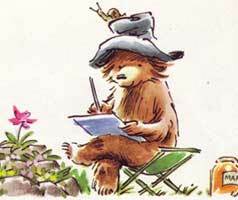 Within a short period of time had inspired Michael Bond to write a story about the bear. 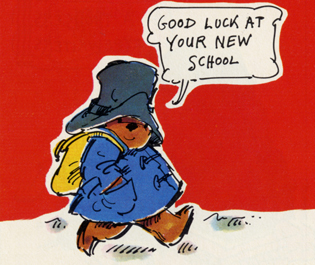 The story is that Paddington was sent by his Aunt Lucy in Peru to live in London to make a better life for himself. Arriving with only a suitcase, he was found by Mr Brown behind some boxes on the platform of Paddington Station. Taking pity on the small bear he takes him home to his family, who name him after the station and who give him a coat and hat to keep him warm. Paddington is a mischief character with little cares in the world and who proceeds to cause some chaos in the Browns home life. However he is always polite and tries very hard to be a good bear. 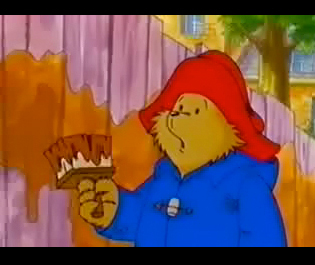 A short episode of one of the 1975 TV Paddington Shows. 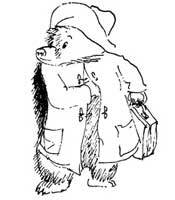 Paddington bear is a very recognisable character with his big floppy hat and duffel coat. But there are several variations to his look which have occurred over the years. 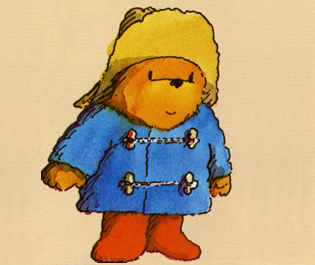 Originally Paddington wore a black hat with a blue duffel coat. However his hat has changed colour several times over the years, with both a yellow hat and a red one also being associated with him. He can also sometime be seen sporting red wellington boots and many soft toys depict him wearing these. 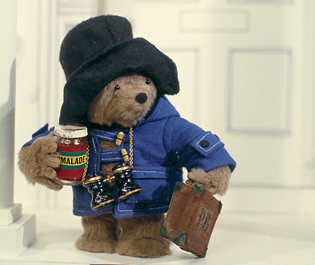 How Do You Remember Paddington Bear? 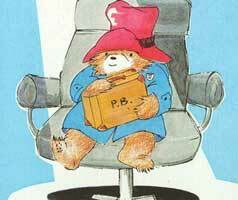 Over the years Paddington has been drawn by many different artists and has appeared in both cartons and on TV. So how do you remember Paddington? The Brown family Mr and Mrs brown and their children Jonathan and Judy. 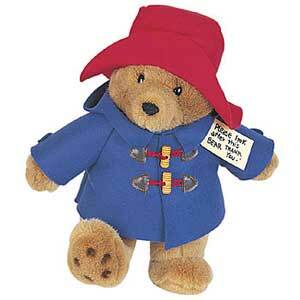 Like any other popular TV character, Paddington merchandising is extensive. In fact if it can be printed on, there is probably a Paddington version available. Here are some of my favourite current Paddington items for sale. For those looking for older items to collect, EBay is still probably the easiest place to pick up some original P bear items.